As a starting-point for this organ composition, Wilfried Westerlinck was inspired by a phrase and a motive from a small piano piece that Liszt wrote by the end of his life. It doesn't contain any theme, it is just a trifle, however enough for the composer to write a similar rhapsodic fantasy. It is developing into several sequences, sometimes opposite, sometimes hooking into each other. 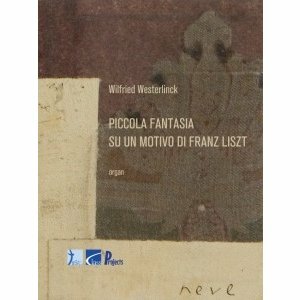 De musical language of "Piccola Fantasia su un motivo di Franz Liszt" isn't meant to be revolutionary. The composer is bearing in mind the natural habitat of the organ: the church, its specific sonorous context, its particular atmosphere and inspiration. 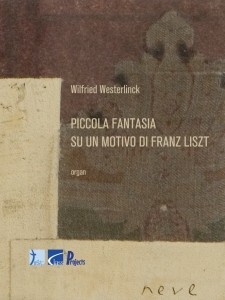 Wilfried Westerlinck dedicated the composition to his father Jacques Westerlinck (1909-1948), organist of the St Jacob church in Leuven (Belgium), who passed away even before his son was three years old.